Our company contractor is an electric gates opener company. We at US Electric Gate Openers in Chula Vista care about our consumers and the work that we provide for them. For this reason we offer a 24 hour emergency repairs service to each and every single one of our customers. We like knowing that our consumers can depend on us being there when they want us. We do all varieties of gate work from gate openers to a gate remote service. It is real easy, all you have to do is call and say you need us and we will be right there to help you. Among all parameters determining the excellence of gate repairs, frequency, quality and speed are the most important ones. We encourage our clients to trust our gate company for annual maintenance and guarantee immediate emergency electric gate repair. At the same time, we also promise excellence in all residential gate services. We install, replace and service gates with efficiency. We fix parts with speed, troubleshoot the system meticulously, install gate intercoms properly and take care of all opener needs at once. We are ace technicians in electric gate service and show great attention to the reverse mechanism. We provide swing gate adjustment, maintenance service, rolling gate wheels and tracks replacement, motor repair and clicker programming. 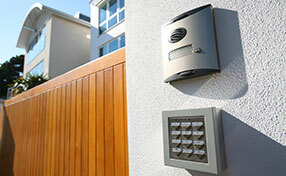 One of our main servicing that we offer at US Electric Gate Openers Chula Vista is the driveway gate opener’s service. These openers are the best addition to any driveway gates. You can just pull up and hit a switch and the gate will open. It sure beats getting out of your vehicle to open the gate, then getting out again and closing it behind you. Our gate opener contractor can installs these openers for you. But even better is the fact that we supply these openers also. Here is list of the brands that we offer. 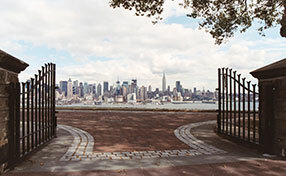 There are different kinds of custom finished gates that we can design. The list below should give you some idea. Just give us a call and say us which kind of gate that you would like custom made. 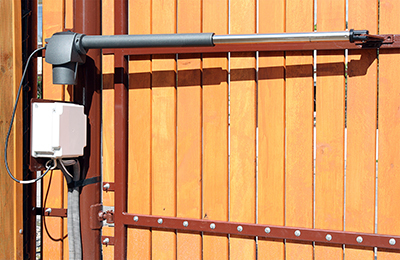 Our Chula Vista US Electric Gate Openers also has an electric gate repairs and installation service. What kind of company would we be if we did not? Not a good one for sure. 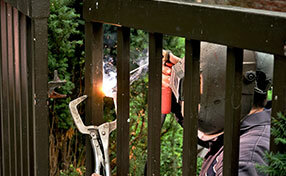 We do a wide variety of gate repairs. For example if your electric gate not closing we can repair it for you. This is quite a few of the repair services we offer you. Repair plus install all sorts of gate opener and device, new installation, broken gate repair, hinges welding, post repairs, broken hinge repairs, gate tracks repairs, gate wheel repairs, safety gate sensors repair as well as install, end loop installation plus repairs, install gate motors on existing gates and housing & commercial fragmented gate spring repairs, spring replacement. This is quite the list of repair services, right? Well, we can do any of them that you need us to. Let us not forget our handset entry systems or intercoms service. We are really happy of this service and all that it can do for you. It is service that protects you from unwanted guests coming on to your property. Our driveway gate contractor offers these services: install plus repairs of keypads handset entry systems, handset gate system, Residential Entry System, Profitable Entry Systems as well as ELITE, LINEAR programming and DOORKING service.